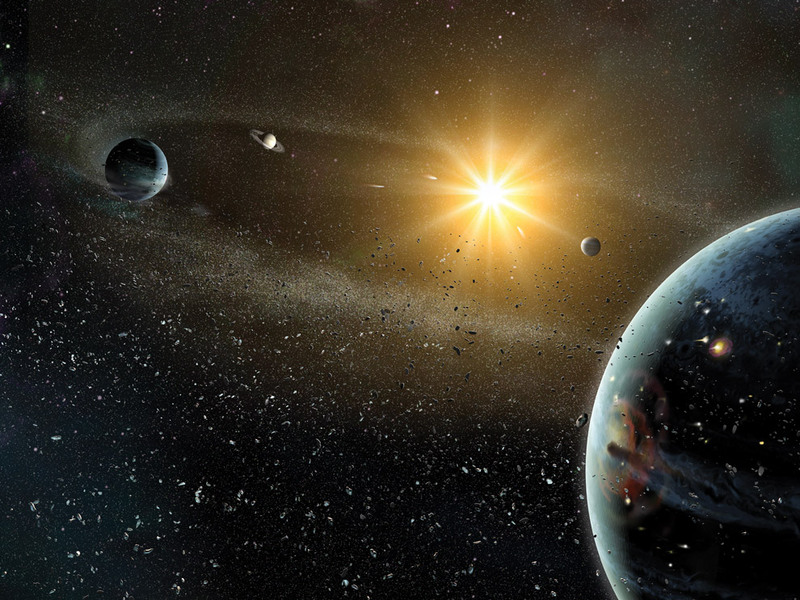 In a new study, researchers found that the water found in our solar system existed even before the Sun was created. Till today we knew, Sun was responsible for the existence of life forms and water but the study came as a surprise and made many scientists sceptical. “Water throughout the solar system exhibits deuterium-to-hydrogen enrichments, a fossil relic of low-temperature, ion-derived chemistry within either (i) the parent molecular cloud or (ii) the solar nebula protoplanetary disk,” the researchers said. Using statistical, and computer analysis for comparing ratios of hydrogen and deuterium over the time might solve the mystery. Scientists used this technique and found that water in the Earth’s ocean, moon, meteorites and comets contained similar level of deuterium, which suggests that some of the water on the Earth and the solar system existed before the sun was formed. So the earth was formed before the sun? This run contrary to what sciences have said about the earth’s beginning which was it was very hot. Now they are saying that it was cold enough to keep ice frozen for 4.5 billion years. Yes, that’s right. There was a creation prior to the one we read in Genesis chapter 1. Assuming you are a creationist and not an evolutionist, the Earth and its environs were created, in all its glorious wonder, aeons ago to accommodate the angels of God led by Lucifer. This was their abode, their first estate. Upon turning rogue angel, Lucifer, now Satan and his minion demons fought an heavenly war with God and his loyal angels led by Michael the Archangel. Satan and his demons were thrashed and thrown down back to Earth. From this point onwards, the Earth began its decay until nothing of the original creation was left. What remained was darkness and gloom. Over time, God decided to create man and place him on earth to replace the stewardship of Satan. This is what we read of in the Genesis account of the six-day creation. It was simply the renewal of the face of the Earth. So the Bibible story was vindicated once more! This finding is compatible with Scripture. Indeed, there was water on the Earth before the creation of our Solar System. In fact, the Earth itself existed prior to the Sun. Only it was a void and waters covered the surface of this void. Then one fine day, God said: ‘Let there be light’….and the rest is history. So, lemme see if I’ve got the order straight. First came the planets circling around a black nothingness in the center of the solar system, then came the water, then, finally, came the sun. Why would planets circle around nothingness? Does nothingness have a gravitational field? I’m afraid this article raises more questions than it answers.